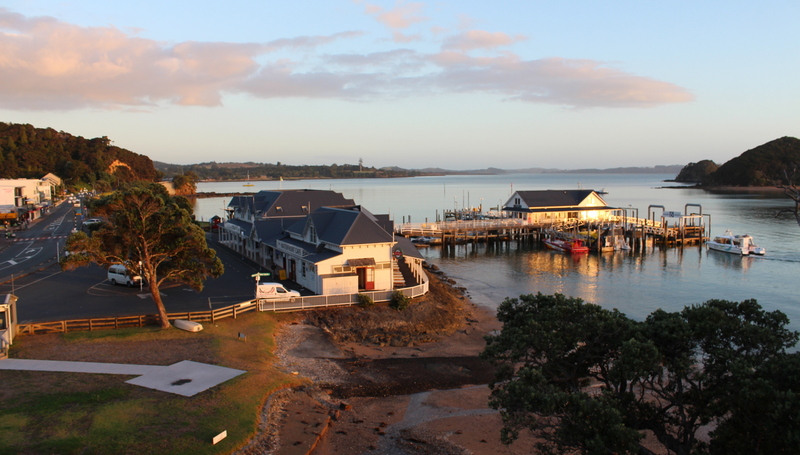 After a day of driving the plan was to take things easier on our first day in the Bay of Islands by travelling on foot/ferry to see the local attractions, starting with a ferry across to Russell (Kororareka) from our base in Paihia. 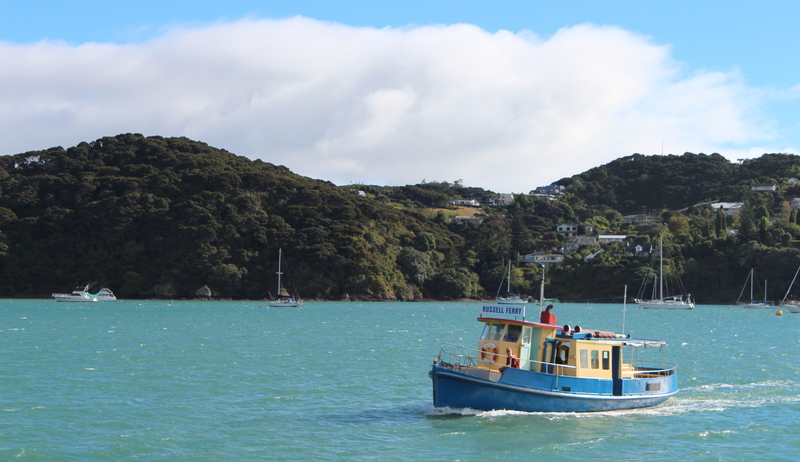 Russell is a popular tourist destination in New Zealand which draws in tourists by air, road and sea (it is a calling point for many cruise ships). 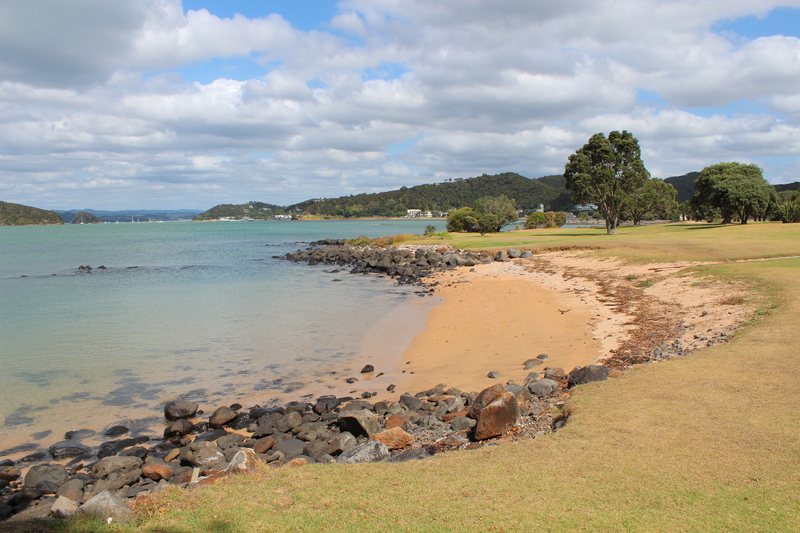 The maori name for the town, Kororareka, has no connection to the landscape or to anything remotely obvious. The translation of the name means ‘How sweet is the penguin’ after the words of a wounded chief on tasting the broth that he had requested! 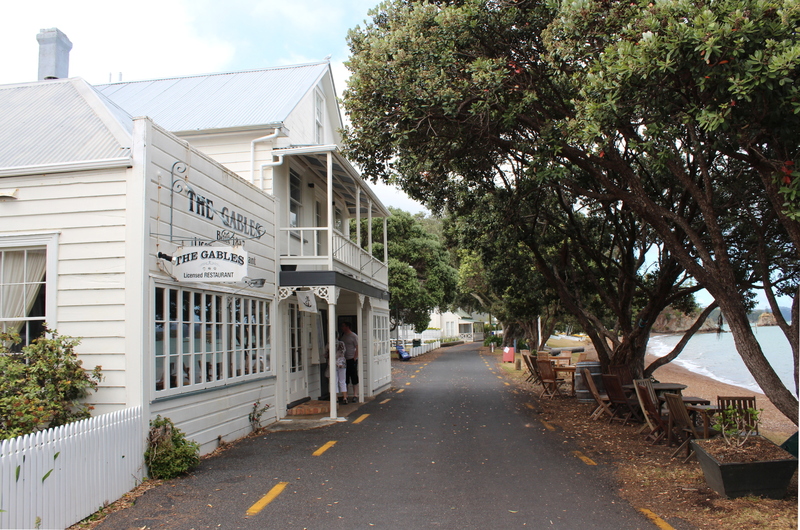 Looking at the genteel historic streets of Russell today it is hard to imagine that this town was once known as the hellhole of the pacific, on the strength of the drunkeness, prostitution and general lawlessness that abounded on its streets. It is also easy to forget that this place was once the capital of New Zealand (a title it relinquished to Auckland in 1841). The decline of the port was further exacerbated by its sacking in 1845 by Hono Heke’s forces. We took a delightful walk around Russell, stopping off at the Pompallier mission (a pioneering printery and tannery established by French missionaries in the 1840s), Christ Church (the oldest remaining church in New Zealand, established in 1836) and ending up at the Duke of Marlborough hotel on the waterfront for some delicious seafood. In the afternoon we travelled back across the water to Paihia and then on by road the short distance to the Waitingi treaty grounds. 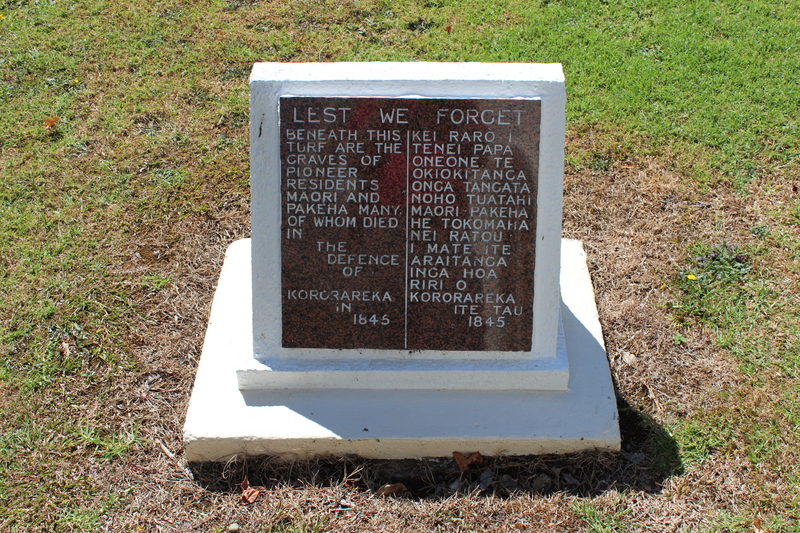 Waitangi is the spot where the treaty between representatives of the British Crown and Maori chiefs was signed on 6th February 1840 – effectively founding New Zealand as a nation. The land was later gifted to the nation along with an extensive estate, but the treaty grounds themselves are quite compact (with the main sights being the meeting house, treaty house and canoe house) and easily covered in an hour or two. Our day done, we had just a two minute drive back to our apartment in Paihia. It is a well located base for a trip to the area, with a modest selection of restaurants and shops (although few places stay open very late). Nevertheless, it is still a long drive to Cape Reinga from here which will be the challenge we have to tackle tomorrow.